Nitzer-Ebb.com wishes all fans, friends and supporters a merry christmas and a happy new year. Also in that year, over a quarter million fans visited the website to request information about the current nitzer ebb activities and besides, they have more than 750,000 page impressions effected. Many thanks for this loyalty! 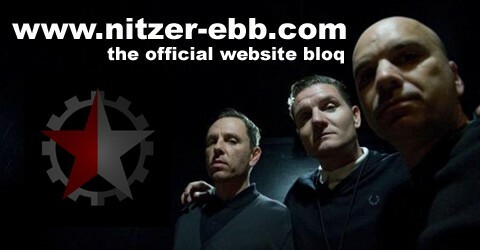 Stay up-to-date in 2011 and get your nitzer ebb news first at Nitzer-Ebb.com! Special thanks to Peddy for his loyal support for years and to Stefan, as the north american part of the Nitzer Ebb Network. Please note the venue change for Guadalajara Date on January 28, 2011. The new venue called Calle 2. Nitzer Ebb returns to mexico in 2011 on their industrial complex tour! See the band playing live at Larva in Guadalajara on January 28, 2011. Join the Facebook Promotion Site to get further information.